Shannon McWilliam (Aboyne) and Hazlehead's Jasmine Mackintosh, the North-east's two title hopes left in the Scottish U18 girls championship at Drumoig Golf Club, Fife meet in Monday morning's quarter-finals. They have met once before in match-play and Shannon won by one hole in an Aberdeenshire women's county championship tie. Playing into a strong, three-club wind, Shannon had a hole in one with a five-iron at the sixth hole (148yd) while beating Jennifer Rankine (Haggs Castle) by 6 and 5 in the first round of the match-play stages. 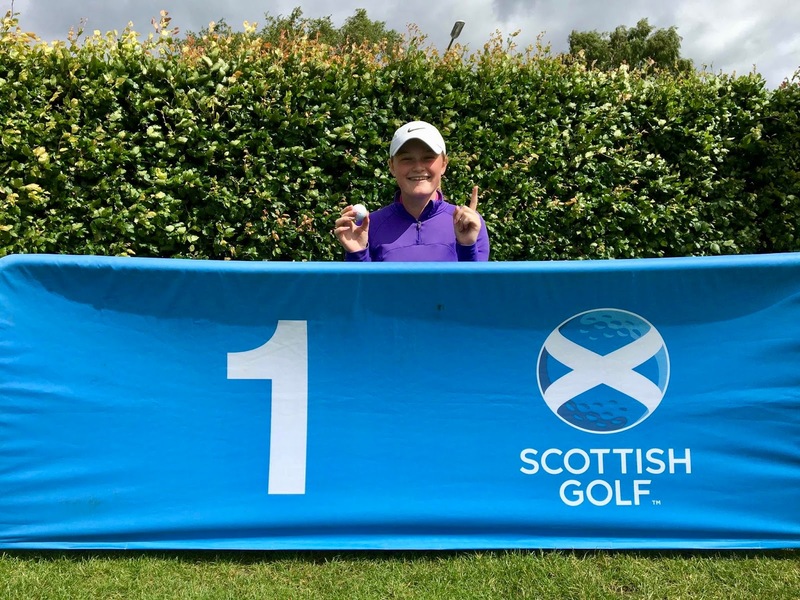 It was McWilliam's third hole in one and she is only 17! Carmen Griffiths (Aboyne) lost by 2 and 1 to a Swiss-based Scot, Cameron Neilson. Buckpool's Emma Logie went down by 5 and 4 to Hannah Darling (Broomieknowe). 11.15 L Duncan v C Neilson. 11.30 H Darling v K Brodie. 12.00 M Richmond v J Farrell.